DJs have a tendency to self-mythologise. Their biographies wax lyrical about how they were raised not on nursery rhymes, but Ethio-jazz and obscure funk. How they toddled into the Paradise Garage and underwent a house music epiphany. How their “classical training” (read “grade three bassoon”) is the grounding for “multi-genre collages of texture and sound”. His music may be more likely to be found shuddering dancefloors than blaring out of a Blackberry on the back of the 341 bus, but it still convulses with grime’s inner-city aggro, the “rawness” that Walton says stuck out from everything else he was hearing on the radio at the time. It’s a strange new model, and Walton stands alongside similarly youthful producers, like Disclosure and Happa, who discovered dance music not through clubs, or even record stores, but podcasts and streaming radio. Like them, Walton started producing before he was old enough to get past a bouncer, attempting to make grime beats that he’d send out to friends that MCed, though nothing came of it (“I never really rated Manchester grime artists,” he laughs, “it just sounds better with a London accent”). 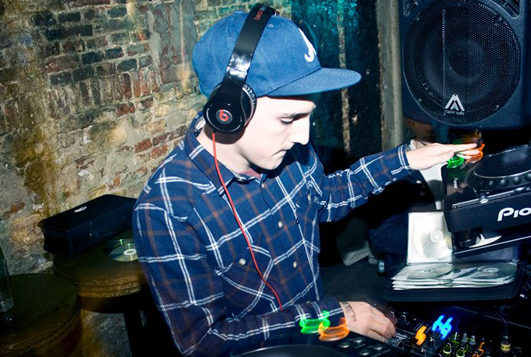 When he did start going out, it was to “really bad clubs”, and his discovery first of garage, and then dubstep and funky, was led by DJs like Blackdown and Brackles on Rinse FM. At their nexus of myriad influences stood Hyperdub, Kode9’s dubstep imprint that’s evolved since its founding in 2004 to lead the way through UK funky, post-dubstep and other poorly-monikered strands of sub-bothering electronics. Walton began emailing tracks to label manager Marcus Scott. “He was one of the only people that was actually getting back to me, and telling me what he thought I should do,” he says. “He liked the ideas, but not enough to sign them. It needed to be a bit dirtier and grittier.” A production course at music college had given him studio nous, but the rawness that had so stuck out from those early grime records had been stripped away in the process. Walton took Hall’s distorted percussion and married it to his dalliances between funky and dubstep for the stomping sub workout 'Aggy'. Walton’s a reticent interviewee, more at ease discussing the nuts and bolts of producing — “bars and beats and whatever, BPMs and how things are put together” — than its more abstract characteristics. He speaks with a heavy Mancunian drawl, sentences creeping along, and seems remarkably grounded for someone about to release their first album, 'Beyond', on one of the UK’s most groundbreaking labels, with only three EPs to his name. “He just sounded so different from a lot of the music that comes into my inbox,” says Scott when we ask what it was about Walton that first piqued his interest. “His music sounded like funky and grime, but somehow he was putting his own stamp on it. I asked to hear more, gave him a bit of guidance, and it started from there. Since then he seems to have found his own sound, richer and glossier. But hopefully this is just the start.” And what was it that made Scott confident to give him an album so early? “We wanted to do it, so we are,” he smiles.